When selecting a pallet manufacturer, you should put as much emphasis on product quality and customer service as you do on price. When cost is your only determining factor, you neglect to consider the advantages of working with a reputable, established company, which will save you money and logistical headaches in the long run. There are many pallet companies operating on the margins of the industry selling pallets for less than those offered by quality manufacturers. But their pallets aren’t just less expensive — they’re substandard. Because of the nature of the pallet industry, barriers to entry are low. For many years, the industry has been plagued with pretenders who undercut price by knocking together inferior pallets out of cheap materials. Many of these companies – whether building new pallets or repairing pallets – have no idea what’s required for a pallet to function properly in the overall unit load of the customer’s finished goods. This is especially true for the grocery industry and others operating in a closed-loop system. A credible, reliable pallet manufacturer should be licensed by the National Wood Pallet and Container Association (NWPCA), the largest organization of wood packaging professionals in the world. These manufacturers have access to a wealth of industry knowledge and resources that independent pallet manufacturers do not, including the Pallet Design System, or PDS. While the PDS system is available for lease to anyone in the industry, association members typically have the proper training and have access to best practices that helps optimize the design of the perfect pallet for each specific application. With a PDS, experienced handlers can maximize each pallet’s weight capacity and use the least possible amount of wood to make a pallet that can tolerate the heaviest possible load. By analyzing the pallet’s dimensions and what it is designed to hold, the PDS can determine how long it will last and when it will need to be repaired or replaced, preventing costly failures in the field. 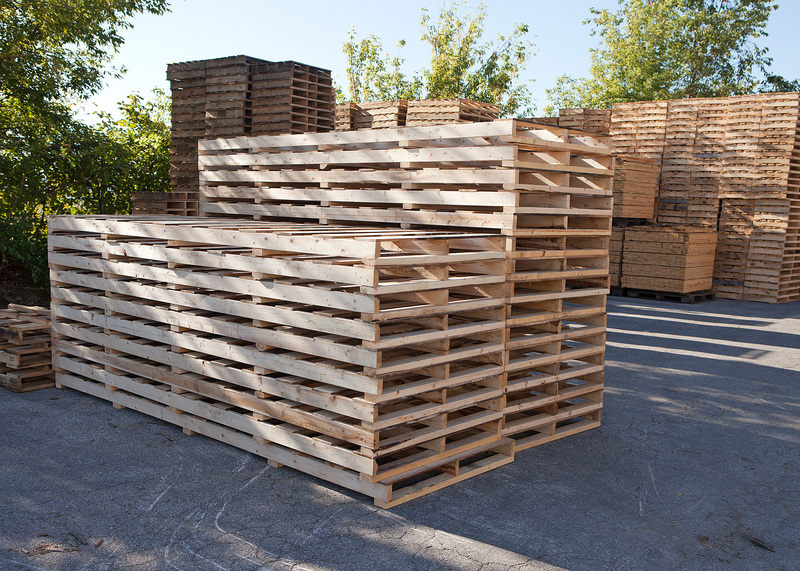 When buying refurbished pallets, you have no guarantee of the wood’s origin, quality, chemical treatment, or strength. If that works in your system, it’s a great low-cost way to move finished goods. But cheap, poorly made pallets may fail under load from rot or loose knots, they may contain protruding nails that can tear packaging, or they may contain harmful and damaging mold. Pallets protect the product — so they must be made from the best available raw materials, which are getting harder and harder to come by. There are fewer hardwood mills to choose from when looking for reputable lumber suppliers. Other industries, such as railroad, natural gas and flooring, compete ferociously for low-grade hardwood materials. Typically, their price points are higher than the pallet industry can compete with, so many have moved to softwoods such as southern yellow pine as a replacement. This shift has put a strain on available pine supply too. Manufacturers must have the connections, the buying power, and the relationships to obtain the right raw materials. While the most reputable pallet manufacturers may not offer the cheapest prices on the market, they do offer the best quality and highest level of expertise. When pallets fail, merchandise can be damaged or destroyed, shipping schedules can be delayed and, even worse, workers handling the cargo can be injured. Pay a little more for quality up front, or pay a lot more down the line for playing it cheap.